Respecting aromatherapy and essential oil safety is imperative. As with anything you use, educate yourself about what you are using, why you are using it, how to properly use it for what you need and when to use it. With so many companies and brands in the marketplace nowadays, its hard to distinguish what real from what’s synthetic, or half synthetic. In addition to these quality conundrums, safety is also a big concern, as many people who have not received formal aromatherapy training may not be aware that there are numerous concerns, precautions and contraindications to know before you use. Aromatherapy is amazing and a powerful tool to help balance our mind, mood, emotions and physicality. However, as a clinical aromatherapists for over 15 years, please be responsible. Essential oils can be up to 100 times more potent than its herbal counterpart, thus, much respect should be given and exercised. An important part of every class and course we teach, and during each consult we offer, we train our students and clients to use their scentillect™. Knowing what you need, is half of the equation. 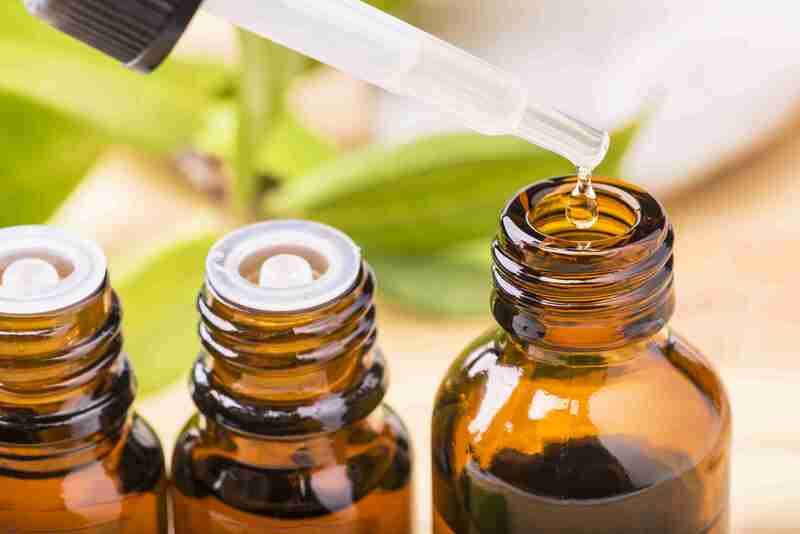 The other half is cross-referencing contraindications, allergies, sensitivities, health and skin integrity, age and precautions with precautions with the each essential oil and botanical ingredients you are using. For me personally and professionally in my phyto-aromatherapy business, I have adopted the safety guidelines presented by the National Association of Holistic Aromatherapy. To share some of the most important with you, I’ve included the list with some additional safety tips and added thoughts. You can see the full list at https://naha.org/explore-aromatherapy/safety. Keep essential oils out of the reach of children, pets and those with dementia, Alzheimer’s and other cognitive impairments. Essential oils are fat soluble, not water soluble. Therefore, the best way to use them is to dilute in a fat-based carrier or emulsifier such as coconut or olive oil. Keep a carrier close by when blending or using essential oils on the skin. If there is an irritation or if it splashes into your eyes, dilute in a fat-soluble base such as olive (or other vegetable) oil, Vegenaise™, milk form or avocado. Do not flush it out with water, as this can make it worse. Use caution and avoid certain essential oils with those having a serious health condition such as heart disease or epilepsy. Refer to the Safety Data Sheet or Contraindication list (check out our Holistic Aromatherapy Comprehensive Guide for a more detailed list). Use caution with highly skin irritant essential oils such as cinnamon, clove, oregano and thyme. Use caution with essential oil exposure during pregnancy, especially in the first trimester and in high-risk pregnancies. Make sure you are educated in the oils you are using, their properties, chemistry and contraindications. Avoid anti-galactagogues while breast-feeding. Citrus essential oils that are cold-pressed are photosensitive or phototoxic. This means that they may cause pigmentation and discoloration to the skin when exposed to direct sunlight (we go into more details in the chemistry section). Therefore, it is recommended to avoid direct sunlight and tanning beds approximately 24-hours after topical application of photosensitizing oils to the skin. Internal use – this is a very hot and sensitive topic, depending on who you ask. Since you are reading my blog, I’ll share my two cents. Personally, I don’t see the need to use essential oils internally on a regular basis (numerous drops every single day) since inhalation is a more powerful form of implementing aromatherapy. In addition, topical applications are a form of topical ingestion, thus it gets into your bloodstream and delivers a response within the body. There may be certain times, for very specific situations, when properly diluted essential oils may be used internally, such as a severe cough or laryngitis. You are responsible for you. If you choose to use essential oils internally, I recommend you get formal training or work with a highly trained, Professional or Clinical Aromatherapist, or Medical Professional. Make sure the area you are diffusing oils is well ventilated, especially if you have pets, children or anyone with serious health conditions. To get certified in aromatherapy, check out our certification programs. We also have a reference book available – JennScents Holistic Aromatherapy Comprehensive Guide.